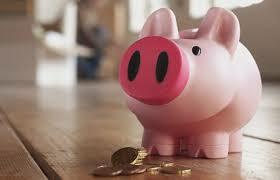 In the UK anyone over the age of 16 can save money in an ISA and pay no tax for the interest accrued. In 2014 the tax-free allowance limit is £5,760. while the Fixed Rate ISA is for those who do not mind locking their money away. Fixed Rate ISAs are less flexible, but they reward you with a higher rate of return. Most Fixed Rate ISAs have terms that range from 1 year to 5 years. ISAs with longer terms offer higher rates of interest, in return for you locking your money away longer, but the risk here is that rates could improve in the meantime. Kent Reliance, 1.8% AER: The minimum deposit is £1,000, and for this you get a one-year fixed deal with 1.8% AER. You are able to make transfers from previous years, and you get full £85,000 FSCS protection. There is a 180-day interest penalty on closures. Britannia, 1.85% AER: This account requires you to provide the maximum allowance limit £5,760 (£1 if transferring), rewarding you with a rate of 1.85%, or 2% if you are a Co-Op account customer. Withdrawals are permitted, however they are subject to a 180-day interest penalty. You can make transfers from previous years. There is shared £85,000 FSCS protection. Post Office, 2.25% AER: The minimum deposit is £500. You can access your account by phone, by post or in branch. Transfers are allowed from previous years. There is a 180-day interest penalty on closures. There is shared £85,000 FSCS protection. Britannia, 2.05% AER: Similarly you can earn a better rate of 2.2% if you are a Co-Op account customer. The minimum deposit is £5,760 (£1 if transferring). Access is available in branch or by post. There is shared £85,000 FSCS protection. Because your money is locked in with a fixed rate of interest for such a long time, at this point you want to be careful. If rates improve before 2017, you will be missing out. Virgin, 2.4% AER: This account comes with a smallest possible minimum deposit of £1. Transfers can be made from previous years. Access is only available online. You can make withdrawals, which are subject to a 120-day interest penalty on the amount withdrawn. There is full £85,000 FSCS protection. Post Office, 2.35% AER: The minimum deposit is £500. You can access your account by phone, by post or in branch. Transfers are allowed from previous years. There is a 180-day interest penalty on closures. There is shared £85,000 FSCS protection. Coventry Building Society, 2.75% AER: The min/max deposit is £5,760. Note that you cannot make transfers from previous years. There is a closure penalty of 120 days’ interest. You get shared £85,000 FSCS protection with Stroud & Swindon BS. Leeds Building Society, 3.05% AER: Here the interest rate jumps up a notch, and there is no minimum amount you have to put in (£1). You can make transfers from previous years. The account can be managed in brand, by post or online. The closure penalty is 180 days’ interest. You get full £85,000 FSCS protection. Virgin, 3% AER: This account comes with a smallest possible minimum deposit of £1. Transfers can be made from previous years. Access is only available online. You can make withdrawals, which are subject to a 180-day interest penalty on the amount withdrawn. There is full £85,000 FSCS protection. Entry was postedon Monday, January 6th, 2014 at 9:48 pm	under Best Deals Category.You can skip to the end and leave a response. Pinging is currently not allowed.